"First, it’s almost certainly true that functional programming is the next big thing"
As you might already heard, the buzz which is going around Functional Programming like ..
What is this Functional Programming which everyone is talking about ? Why has it become increasingly relevant in today's scenario ? Do I need to learn these so called Functional Programming languages ? "In computer science, functional programming is a programming paradigm, a style of building the structure and elements of computer programs, that treats computation as the evaluation of mathematical functions and avoids state and mutable data." As you can see, Functional programming is a way of thinking to solve problems in Computer Science and Mathematics. It provides you with tools and concepts to build your programs systematically to solve any problem. As Quoted by John Hughes in his famous paper "Why Functional Programming Matters"
"Functional programming is so called because a program consists entirely of functions." In Functional Programming you structure programs as functions taking other functions as inputs or returning other functions as return values. Functions are the language primitives and that means you can toss them around in your program. These functions are much like ordinary mathematical functions which for a particular input value always return the same value as the result. For x = 3, you always get 15 as the result. This property of functions is called "Referential Integrity" which is an important concept in Functional Programming. Lets have a look at things you can't do in Pure Functional Programming languages. No Control over order of execution. Now you might be thinking as to how can anyone program without all these features. Functional Programming has its roots in Lambda calculus. First Class and Higher Order Functions. A Programming language is said to have first class functions if it treats functions as first class citizens. It means that functions are language primitives and can be passed to other functions as arguments or return other functions as return values. You can assign them to variables or any data structure for that matter. Higher order functions are functions which can either take functions as their arguments or return them as their return values. An example of a higher order function is "inject". To calculate sum of 1 to 10 numbers. "inject" is a higher order function which takes '+' (which is a function) as its argument and applies that function to each value in range (1..10) and returns the list back. "reduce" being the higher order function. square(2) returns an anonymous function which can be called later with an argument. Higher order functions enable “Currying”. “add” is a function which takes 3 arguments, we can curry the above function (add) which takes 3 arguments and generate functions which take single argument each. Pure Functions have no side effects (Memory/IO). Pure functions always return the same value as result for a particular input. For any particular input x the output will always be f(X). There are no side effects. Referential Transparency: The function returns the same result for a particular set of arguments, so if the same function is called again with same arguments, you can cache/memoize the previously calculated result and use it. If no data dependency between two expressions, you can run those two expressions in parallel. Compiler can reorder the expressions any way it wants to optimise the generated code. Iteration in functional programming languages is usually accomplished with recursion. Recursion is when a function calls itself and solves a sub problem of the original problem. Lets consider the Recursive Factorial Function. The factorial function calls itself recursively to calculate the result. As you are familiar that each recursive call creates a stack. This program crashes for bigger values of n. To avoid this problem, we can rewrite the above function as this. This version is the tail recursive version of the factorial function. A recursive function is tail recursive if the final result of the recursive call is the final result of the function itself. As you can observe in above program that the final result of the factorial_one is the call to function itself. At each recursive call the current total is calculated and hence there is no need to maintain a stack for each recursive call and return. Thus some smart compilers optimise this recursive call and eliminate the creation of stack for each recursive call. This methodology is called 'Tail Call Optimisation'. Process by which a smart compiler can make a call to a function taking no additional space. Non Strict Evaluations. (Lazy Evaluation). Lazy evaluation does not evaluate function arguments unless their values are required to evaluate the functional call. In lazy evaluated languages the result of the above expression is 3. Whereas that in strictly evaluated languages the above expression crashes with an exception. This is because the strictly evaluated languages try to evaluate the arguments passed to a function whereas that in lazily evaluated languages do not evaluate the function arguments until used. Performance increases by avoiding needless calculations, and error conditions in evaluating compound expressions. The ability to construct potentially infinite data structures. The ability to define control flow (structures) as abstractions instead of primitives. In Imperative style of programming you tell the computer what to do. In Functional style, instead of telling what to do, you rather describe what you want done. In this example we calculate the sum of 10 numbers (1-10). As you see, the functional style of programming is a lot more expressive and precise. Imperative Programming is like giving instructions to an idiot. In Imperative programming we have special constructs in language for iteration, whereas in Functional programming languages we make use of recursion heavily. Why Functional Programming is relevant today ? Functional Languages use a paradigm of programming wherein the Functions are pure and are referentially transparent which means that the functions lack side effects. The functions are non dependent on each other and always independently execute irrespective of other functions. This immensely helps in running these functions in parallel on multiple cores. The main reason that Functional Programming languages are gaining traction these days include processors being shipped with Multiple cores, thus encouraging software developers to utilise the multi core architecture of processors and run programs in parallel to speed up the process of program execution. Writing concurrent programs is indeed supported in Imperative paradigm, but usually this process is troublesome and error prone. Do you need to have this skill ? For one thing, the world is moving towards concurrency and parallel computing, which means that the knowledge of functional programming languages will be a must. Secondly, understanding and coding in functional paradigm will help you in getting a new insight into solving problems or rather approaching for a solution to a problem. This in-turn will make you a better programmer in any language of your choice. 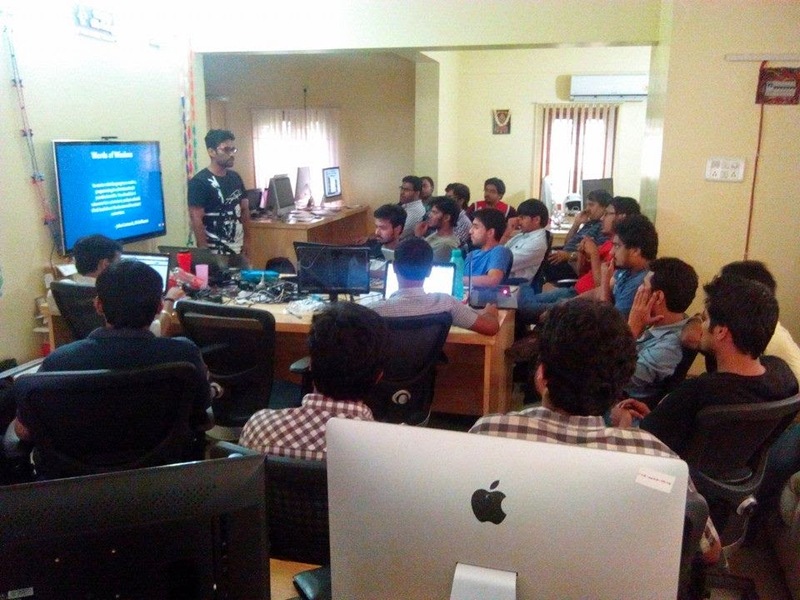 A Tech Talk on Introduction to Haskell presented at CognitiveClouds on 1st of August 2014. Thumbs up and leave a comment, if you liked the video. 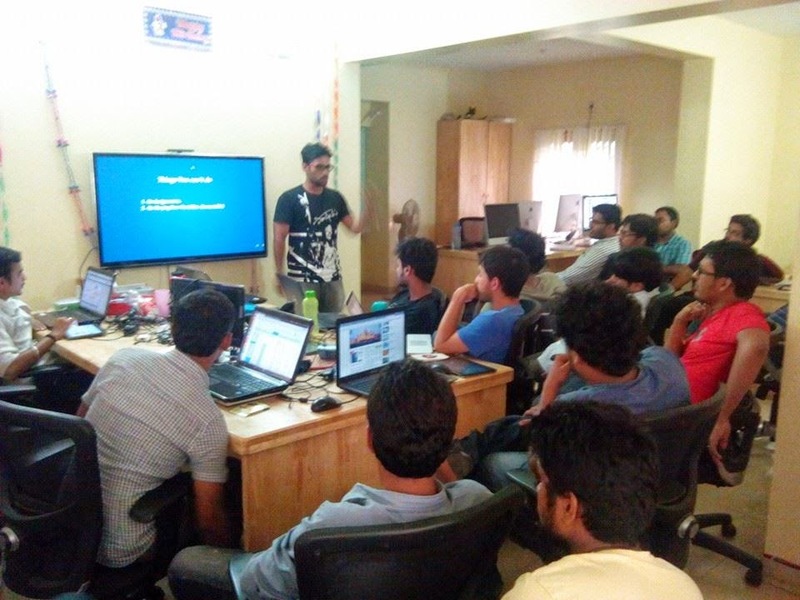 Presented at CognitiveClouds on 27th June 2014. Garbage collection in MRI Ruby is getting replaced to (Generational Garbage Collection) from the original Mark and Sweep GC. This change will help deployment of Ruby in large scale systems. This change will be seen in Ruby v2.1. Link. "Don't forget to Talk" article throws light on importance of having healthy conversations at office. He goes on to explain the creative process which is involved in a healthy conversation. So "Don't forget to Talk". Link. Here is an interesting article which says "Why not to date a girl who reads". The author goes on to explain the various reasons for the same. Link. And Finally some awesome "Ruby Tips". Link. KDE or Gnome ? ? © Rajeev N B 2011. Theme images by Jason Morrow. Powered by Blogger.